The story evolves around Benjie, a young security guard who, having lost her girlfriend from another man, has also lost his sense of being. 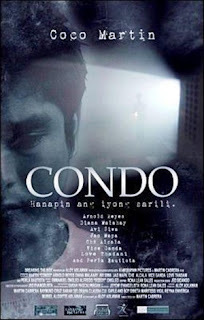 Without a family to lean on, he requests to the building administration to let him stay in guard’s quarters of the new condo he was assigned at. The building and the whole new universe of strangers who don’t really care about him has become Benjie’s refuge. He only cares about his job even if it’s only the same old tiring routine. But the perfect and lonely world for him turned out as a contrary when a mysterious intruder and a phone call from an empty unit begin taunting him.